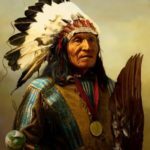 Aztecs were American Indian people who ruled a mighty empire on the territory of modern Mexico during the 1400s and early 1500s. 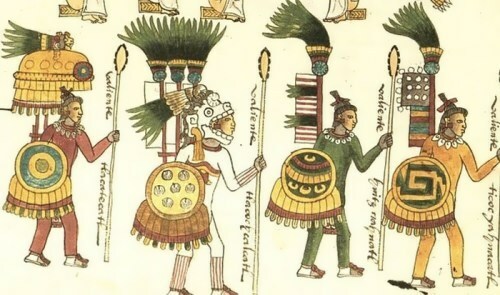 The Aztec Empire spread over 80,000 square miles (207,000 square kilometers). Montezuma II was the last great Aztec emperor and ruled over 5 to 6 million people. 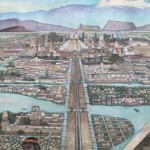 The capital city of the Aztec was Tenochtitlan. It was built on land that today is part of Mexico City. 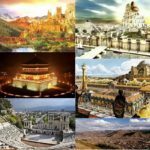 They conquered neighboring peoples to build up their empire. According to Aztec legend, the site of their capital city was chosen around the year 1325, when one of their holy men saw fulfilled the prophecy of their principal god, Huitzilopochtli: an eagle perched on a cactus, in some versions devouring a snake. The site was a small outcropping of rocks on the western edge of the southern part of Lake Texcoco. 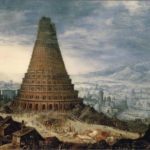 On this site the Aztecs began building their capital city, an island linked to the mainland by causeways, which they called Tenochtitlan (Place of the Cactus Fruit). Tenochtitlan was one of the largest and most densely populated cities in the world with intricate systems of canals, footpaths, gardens, walls, paved streets, residential complexes, temples, and pyramids. 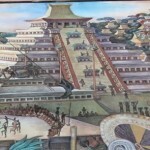 When Spanish soldiers first arrived in Tenochtitlan, they were amazed. The streets in the capital city weren’t filled with rubbish and rotting food like the streets of Europe at that time. They were cleaned by thousands of sweepers every day. The sweepers were usually slaves from other tribes. Most Aztec were farmers. They grew corn, beans, peppers, squash, tomatoes, tobacco, and cotton. 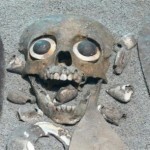 But the Aztecs also ate some very strange things: ants, lizards, frogs and toads! 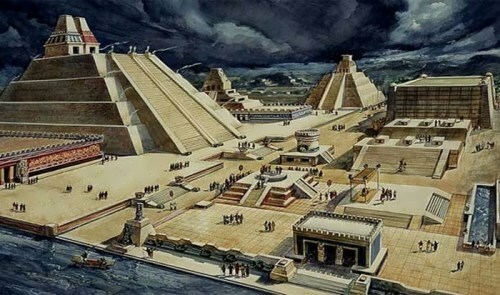 Other Aztec were traders and craftsmen. 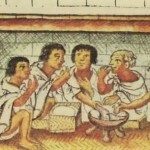 Trade and commerce occupied a central place in the Aztec economy. CACAO beans were the principal form of money. 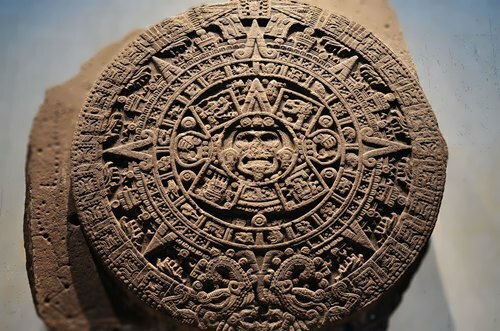 The Aztec solar calendar was divided into 18 “months” of 20 days each, with a five-day “barren” or “hollow” period at the end of each solar year — a time of foreboding and dread. Each month, in turn, was devoted to specific rituals and ceremonies paying homage to a particular god or combination of gods. The Aztec spoke a language called Nahua. 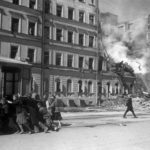 They had no alphabet of their own, but they used picture writing to record their history. Religion was very important to the Aztec. They worshipped several gods who represented the forces of nature, such as rain or sun. 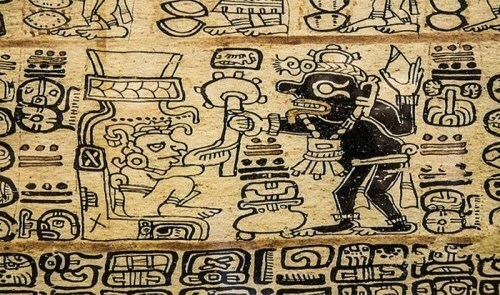 The Aztec often used human sacrifice to get help from the gods. 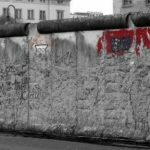 They sacrificed thousands of prisoners captured in war. 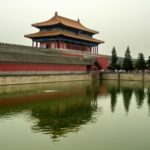 They sacrificed about 50,000 people a year (that’s a thousand a week, six an hour or one every ten minutes!). The Aztecs were the only people in the world at this time in history to have free schools for boys and girls. 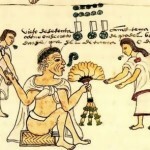 In Europe only rich people went to school, but in the Aztec Empire every child went to school. Noble Aztecs wore very beautiful clothes decorated with ornaments and feathers. They also carried fans made of feathers. Common people were not allowed to carry fans. 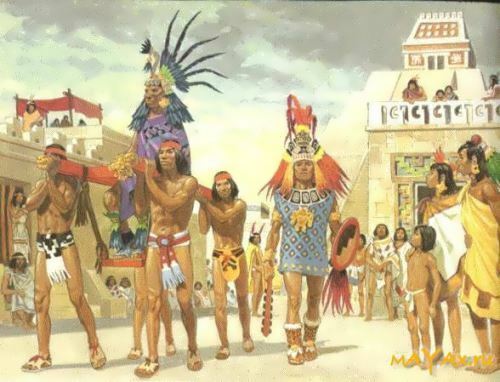 Aztec boys could get married only after they reached the age of 20. Weddings were usually arranged by matchmakers (usually old women), and nobody asked the girl if she wanted to get married. The girl’s family gave a party for three or four days before the wedding. Then the bride was carried to the groom’s house on the back of the matchmaker! The Aztec were at the height of their power when Hernan Cortes and his Spanish soldiers arrived in 1519. 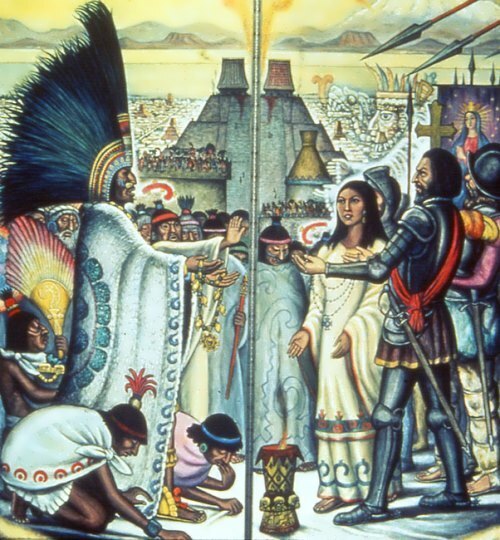 The Spanish put the emperor Montezuma II in prison, where he died. In 1521 the Spanish took control of Tenochtitlan, ending the Aztec Empire. 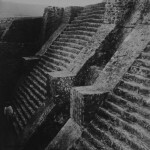 Little of Aztec architecture remained. 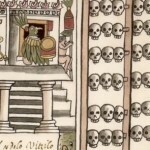 The Spaniards destroyed the temples and all other signs of the Aztec religion. They built Mexico city on the ruins of their capital. Many Mexican place names, including Acapulco and Mexico, and such English words as avocado, chocolate and tomato, come from the language of the Aztec. 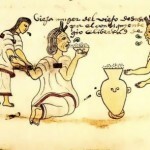 Foods of Aztec origin, including chili and chocolate, have become popular in many countries. Aztec culture still attracts people because of complexity of their society and the beauty of Aztec art. 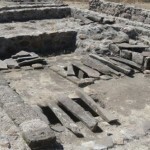 If a member of the family died he (or she) was buried inside the house – under the floor! Human sacrifice was practiced during a ballgame. The skull was often used instead of a ball.